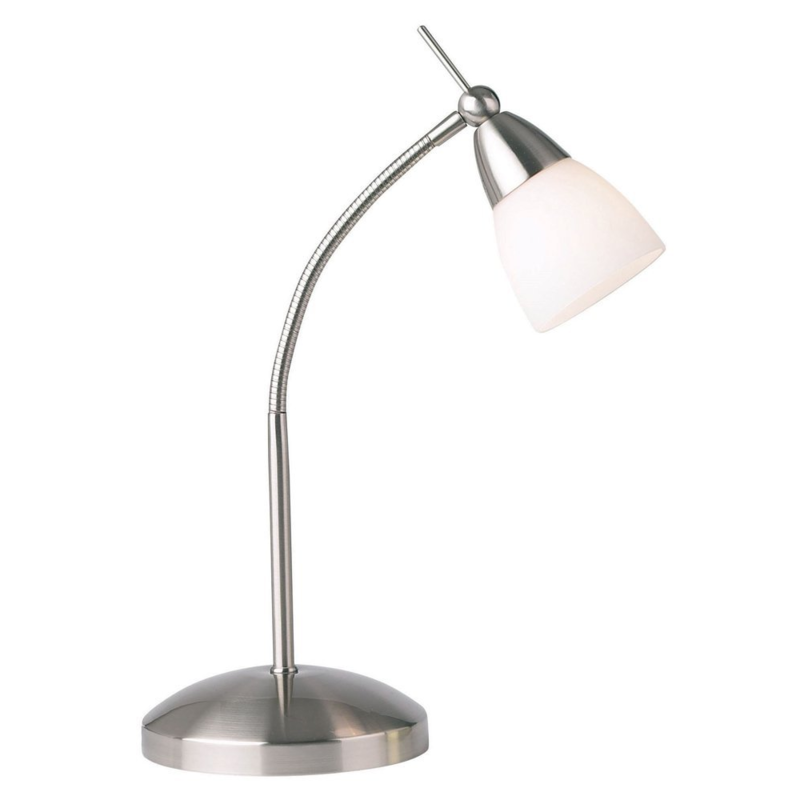 Contemporary three stage touch dimmable desk lamp in a satin chrome finish. 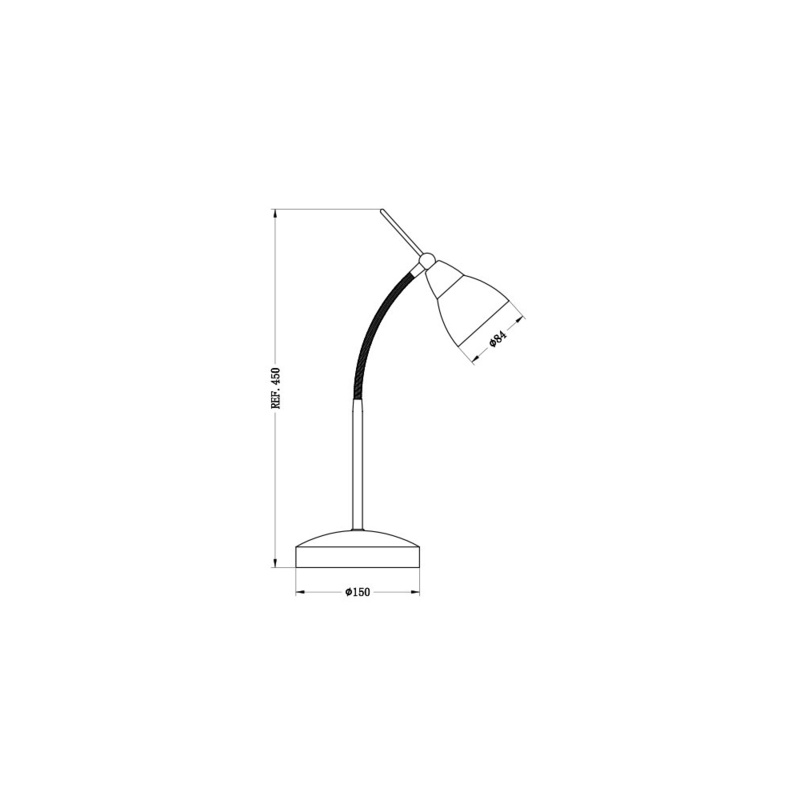 Features adjustable arm which can be moved in any direction. Complete with opal white glass diffuser shade and long finial to move the head. Requires 1 x maximum 33watt G9 halogen (equivalent to 40watts) - not included. Dimensions - Height: 45cm, Base diameter: 15cm, Shade diameter: 8cm.